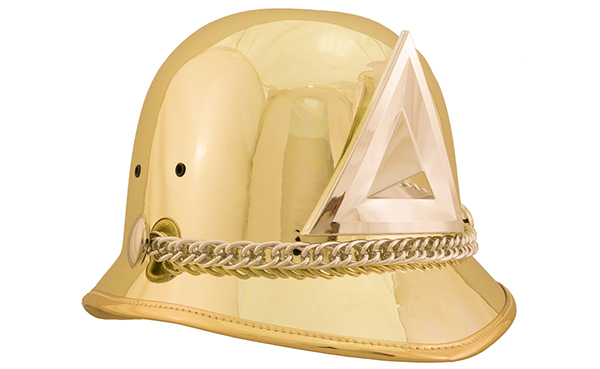 Marching band regency helmet. Gold with Bayly diamond emblem. Call 1(800) 882-0255 for pricing information.